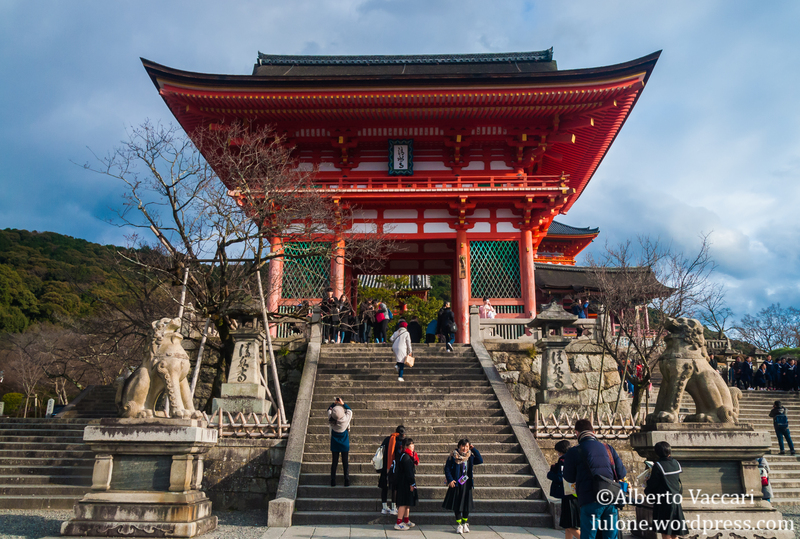 I was a little bit apprehensive about travelling… And yet there I was, walking in Kyoto, one step behind Nesh, on our journey to travel the world. 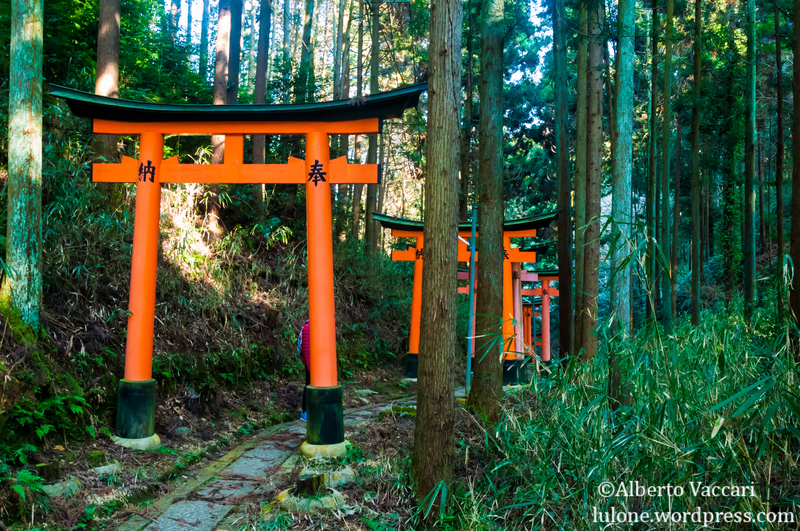 Walking up through the many gates of Fushimi Inari, it is hard to imagine when the shrine was first brought to Inari mountain back in 816 A.D., let alone when it was first built in 711 A.D. Tourists and locals alike flock to the site in their multitudes, snapping photos of the picturesque scenery. Particularly during the early section of the way, it is necessary to weave a path through the many selfie-takers as one follows the trail up the mountain. As with any such endeavors, one has to have a knack for timing else risk featuring in many a family photo. But who is there to look at faces when the bold red paint stands out so strikingly against the surrounding forest? Yoyogi Park is a huge park in the northern part of Shibuya, home of the Meiji Shrine, as well as the location of the first powered aircraft flight in Japan (back when the place was called Yoyogi Army Parade Ground). After WWII, during the Allied occupation of Japan, the grounds were used by U.S. officers for their military barracks. It was only after the occupation ended and the area was used for the Tokyo Olympics of 1964 that the grounds were turned into today’s park. 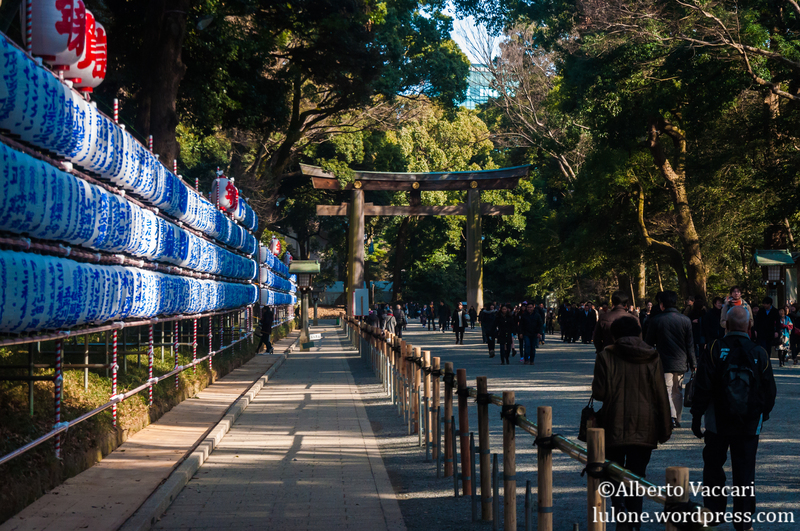 In 1920, after the death of Emperor Meiji and Empress Shoken, the Meiji Shrine has been established as people “wished to commemorate their virtues and to venerate them forever” (more info). People from all over Japan and overseas donated over 10,000 trees and voluntarily planted the forest which people can enjoy today. 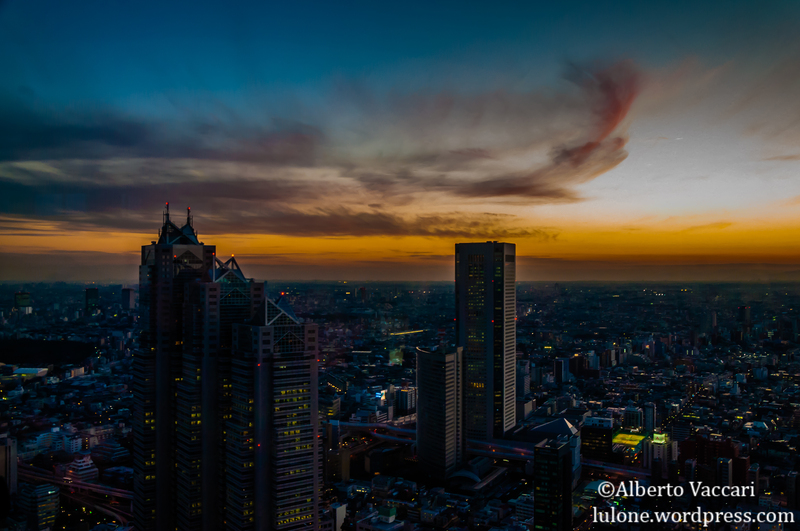 Tokyo, now one of the largest and most populated cities in the world, came from a small fishing village which held a strategical position to the water (land, sea and river routes) in the Kantō province. From 1603 to 1868 is the period in Japan often referred to as the Edo Period, which was marked by continuous growth now that the country had finally unified. Edo was the old name for Tokyo, which came from Edo Shigenaga, a military governor of a large province who built his own castle there, called Edojuku (Edo castle). Much of the culture and literature flourished in this period, as Japan adopted strict isolationist policies, stabilized its population and ended a period of internal fighting between the various warlords. The period started with Tokugawa Ieyasu becoming the shogun (military dictator) of Japan and selecting Edo as his headquarter. The strength of his shogunate over the whole country meant that the emperor, located in Kyoto, was effectively powerless. This period came to an end in 1868 when the pro-emperor army defeated the supporters of the shogunate in the Boshin War. The government had been growing more powerful for a while and events sparked by the forced treaty upon the opening of Japan helped to bring about this change. Emperor Meiji moved to Edo and started a new period of reforms and innovation for Japan, called the Meiji Period or Meiji Restoration, which led to the current state of Japan after more than 200 years of isolation. When someone who grew up on Japanese media visits Tokyo, be it for the first time or the twelfth time, there is something which drives them back to Akihabara. 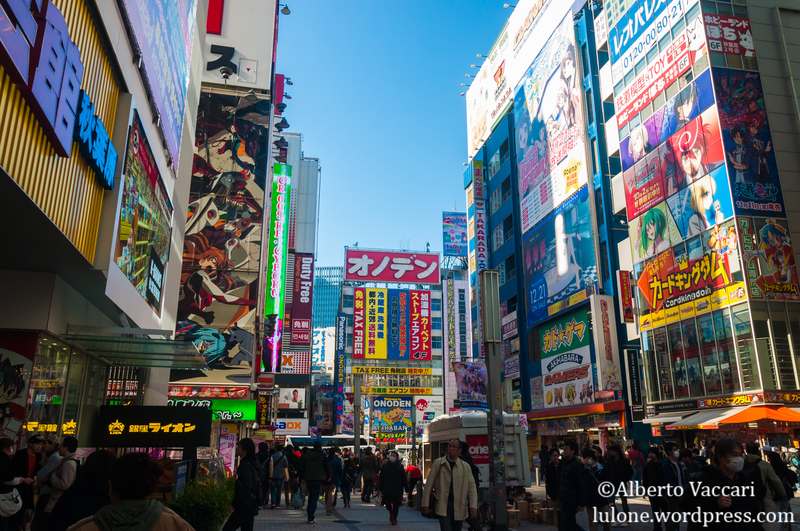 This area of Tokyo has peculiar and interesting history and is now the “mecca” for anyone interested in videogames, animes and mangas. The whole place is exactly as one would expect: colourful, chaotic and very crowded. The numerous shops are housed in very thin but very tall buildings with up to 8-9 floors, each dedicated to a category or specific genre. Having left Korea just after Christmas, the move to Japan during the New Year’s holidays is quite a shock with its mix of old and new traditions. 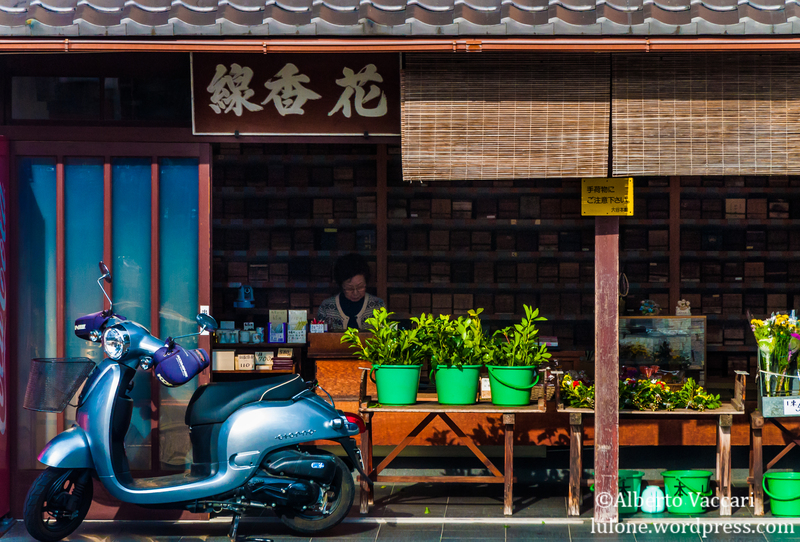 The sights and atmosphere made quite an impact and, in retrospect, captured the essence of today’s Japan. 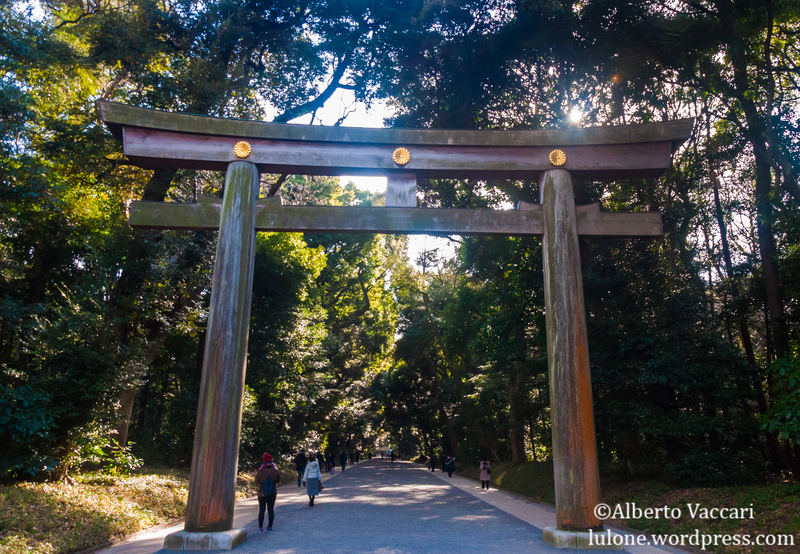 If someone wants to feel a connection to the past, Tokyo holds a large variety of temples and shrines. 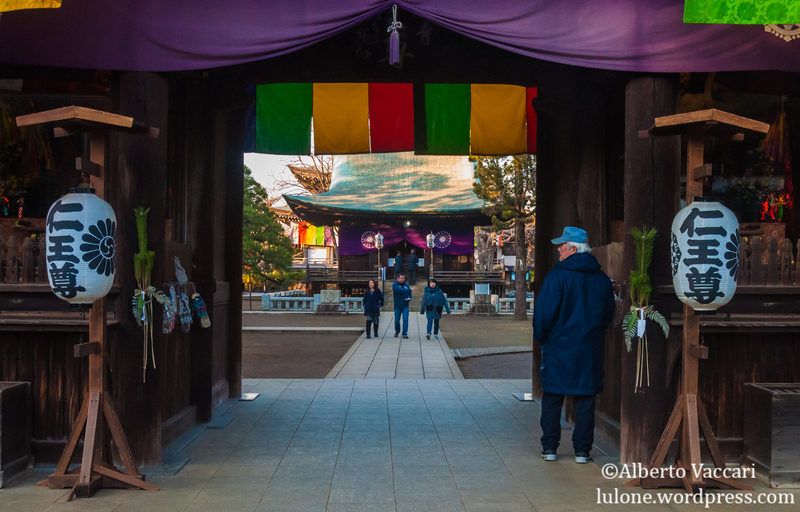 Buddhist temples around Japan ring their bells 108 times to get rid of the 108 human sins (108 Defilements of Buddhism). 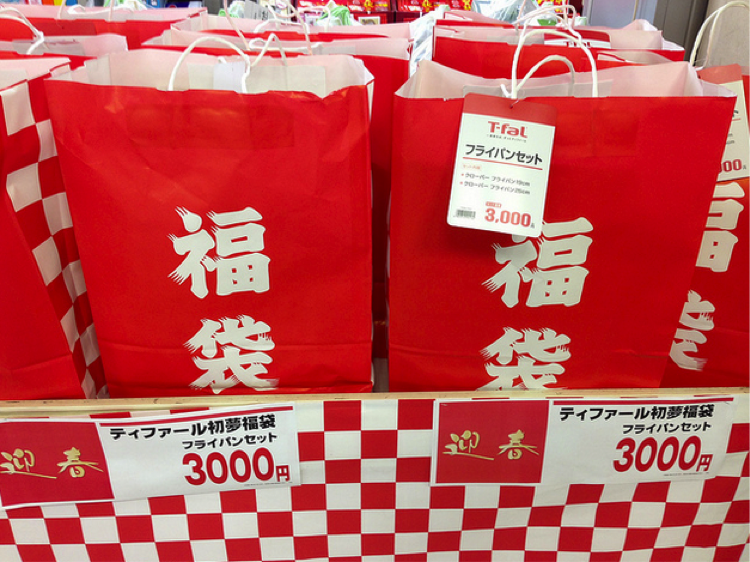 If someone wants to get lost in the numerous temptations of the material world, in the first few weeks of the year, many (if not all) shops, big and small, prepare the popular Fubukuburo (“Lucky/Mystery Bag”). They are usually just plain red bags with only a price tag on (to get an idea). Each shop gives smaller or bigger hints as to what each different type of bag can contain and how much the items could be worth. With Seoul behind, after a relatively short journey, the little town of Yaro is a refreshing experience of Korean countryside and calmness. Surrounded by rice/onion fields, hills and rivers, I really enjoyed the change of pace. Sometimes visiting manly cities can make one forget that the world isn’t always so hectic. 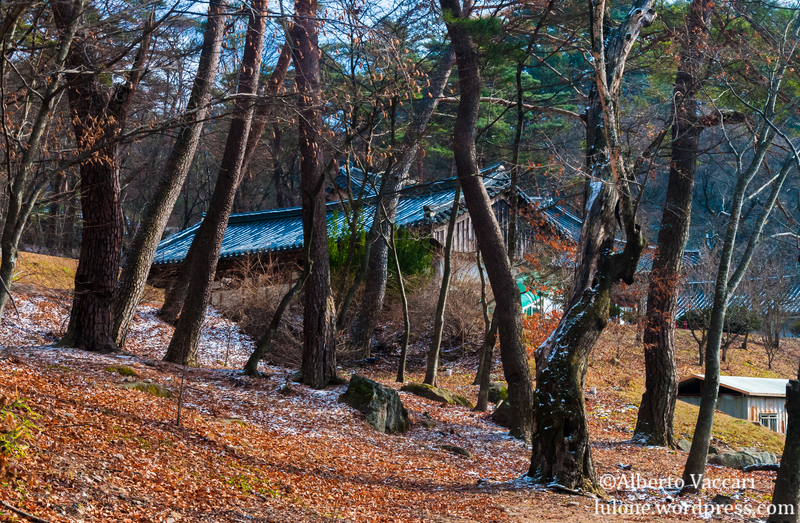 During a day-off from volunteering for a family in Yaro, I headed to the Haeinsa Temple, just a short bus ride away. 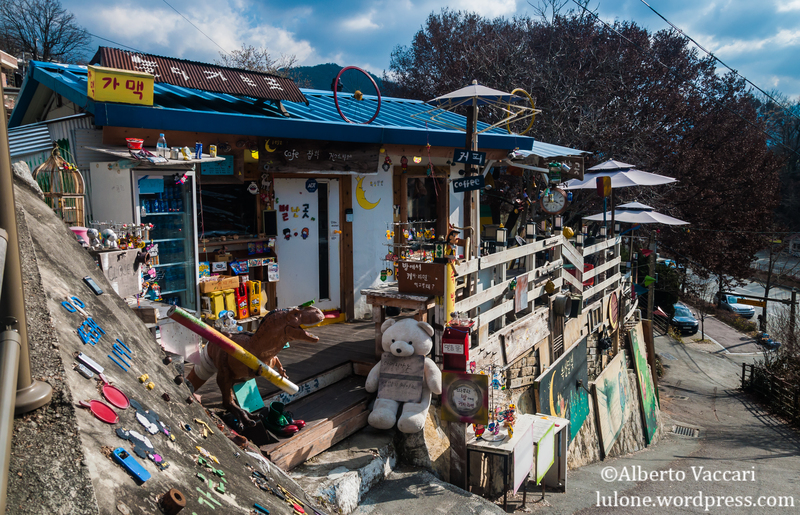 Jeonju, just a few hours ride away from Seoul, is an active little town famous for its food culture. Called the food capital of Korea and added to the Creative Cities for Gastronomy by UNESCO, it is truly an interesting place for food explorers. The town is also famous for having its local version of bibimbap (popular Korean dish made with sautéed and seasoned vegetables over a bed of white rice), giving it yet another food-related reason to visit Jeonju. 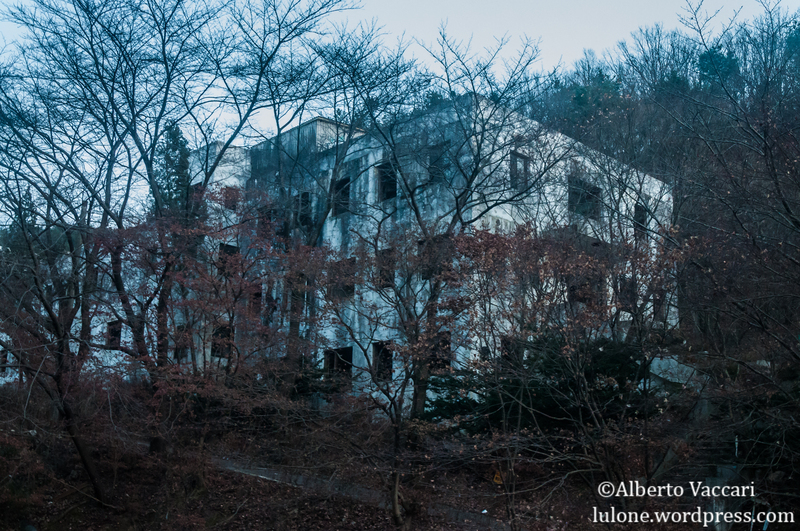 Discovered on Atlas Obscura (a website collecting the most curious and strange places in the world), a travel friend and I set out to reach and explore the Gonjam Psychiatric Hospital, in Gwangju. As we had read, the hospital had been closed but left on its own, making it a great place for made-up horror stories and creepy adventures. 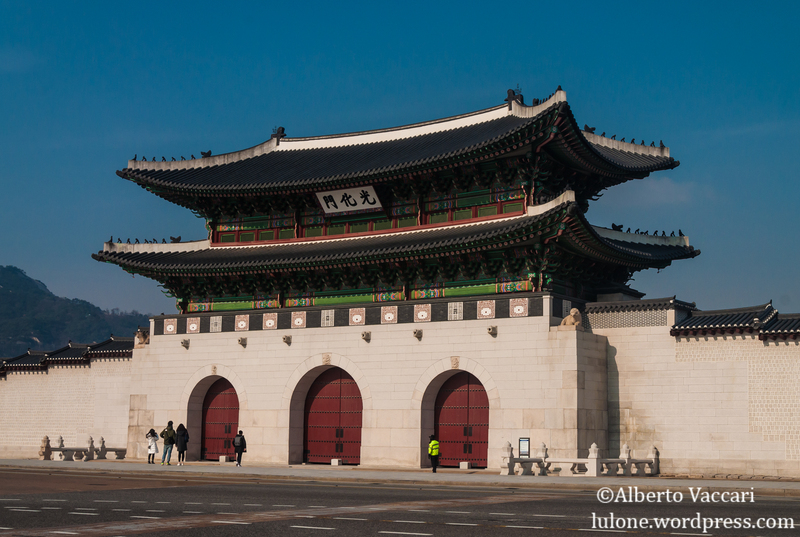 Walking through the city, the view of the palace, making its way through the modern skyscrapers, is definitely a refreshing one as downtown Seoul can become a bit overwhelming (old illustration of the palace). 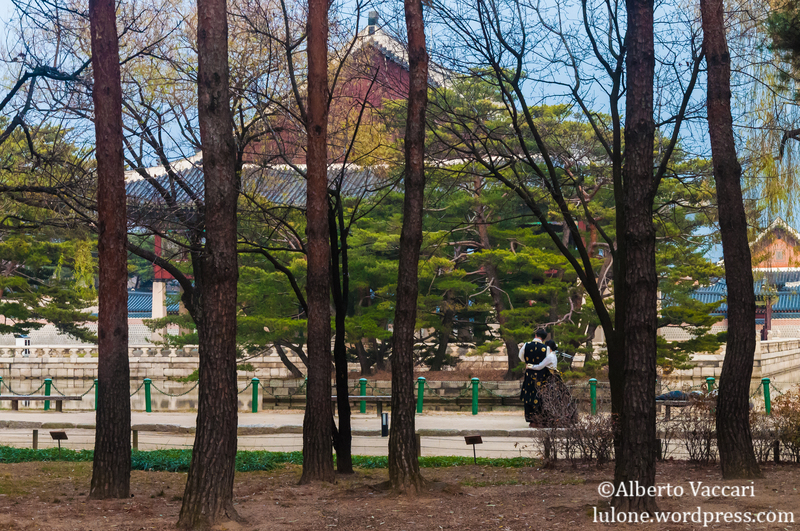 Gyeongbokgung Palace, surrounded by parks and museums, is definitely worth a visit for anyone interested in Korean history. Inside the palace, youngsters, wearing traditional clothes and holding selfie sticks and cameras, walk around the stunning location trying to immortalize the past, or at least a representation of it. In fact the palace, during the Japanese rule of Korea, went through a systematical destruction by the Japanese Imperial Army. Their goal was to eradicate this symbol and heritage of the Joseon dynasty, which ruled over Korea before the Japanese occupation.